Transfercase, seal and gasket, set. 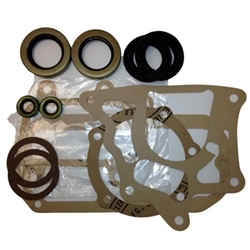 This kit includes all seal and gaskets plus the felts for the front and rear yoke. Our output seals are solid metal jacketed like the originals.